a cardiologist in the room when he collapsed. But the details that are starting to emerge suggest that this doctor had a bad combination: poorly qualified and poorly equipped. And you could add: poorly chosen for protecting the pop singer's life on a 24/7 basis. According to the 911 call from Michael Jackson's home, Dr. Conrad Murray was pumping the chest of the pop singer -- on a bed. Pumping the chest is an essential part of CPR, but everyone who has taken even the basic-level CPR course knows it has to be done on a hard surface. The idea is to squeeze the heart externally to force blood out into the body's circulation. So strike one against Dr. Murray's competence. After early CPR, the next thing that the American Heart Association says must be done for any chance of surviving sudden cardiac arrest is early defibrillation -- shocking the heart to convert it back to a normal electrical rhythm. Up to half of patients can survive cardiac arrest if someone shocks their heart with a defibrillator within three minutes of collapse, according to Dr. Robert Myerburg of the University of Miami School of Medicine. But after those first three minutes, chances of survival drop seven to ten percent for every minute of delay. Dr. Murray apparently did not have a defibrillator. The question is why a cardiologist would not have this basic piece of equipment, which is common enough now that you can find portable defibrillators in airports and other public places. The cost of a portable defibrillator is around $1,300. So that's another strike against his competence. Dr. Murray calls himself an internist and cardiologist. 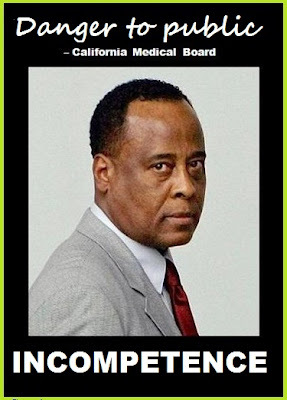 Before he signed on to full-time work for Michael Jackson, he was affiliated with an outfit called Global Cardiovascular Associates, and was licensed in Nevada, Texas and California, where he had residency training at Loma Linda University Medical Center. But Dr. Murray is not currently board-certified either in internal medicine or its sub-specialty of cardiology. According to the American Board of Internal Medicine, Dr. Murray received a board certification in internal medicine in 1998 but his certification expired in December 2008. The web site doesn't say if he didn't take the re-certification test or if he failed it. Knowing advanced cardiac life support is part of the basic testing for board certification -- even for a generalist like an internist, much less a cardiologist. Dr. Murray apparently has never been certified as a cardiologist, although he trained in the field. The certification and re-certification tests conducted by the American Board of Internal Medicine and its specialty boards like the one for cardiology are supposed to ensure a basic level of qualifications and up-to-date skills. The test typically lasts a full day and is computer-scored. Nine out of ten internists pass the re-certification test on the first try. There have been conflicting reports about which happened first: his heart stopped or his breathing stopped. It matters a lot for resuscitation but not for the point of this blog article. If MJ stopped breathing first, that's considered a respiratory arrest. That is very common with drug overdoses but is treatable with an injection of the drug Narcan. Also, helping the patient breathe, rather than banging on their chest, would be the appropriate response to a respiratory arrest. Bottom line: Whichever kind of arrest the pop singer had, it doesn't look like he received the kind of immediate care that an onsite doctor should have provided. 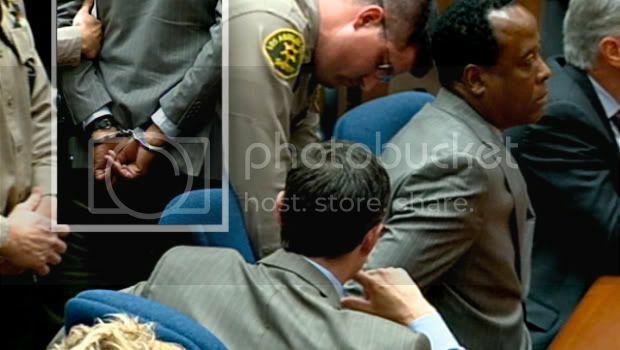 Could Conrad Murray prevented Michael Jackson's death?